Is your IQ score high enough to be considered a genius? Take this free intelligence test and see your score instantly! Most high IQ societies limit their membership to those who have scored above the 98th percentile on applicable IQ tests. Applicants who have already done so can apply for high IQ society membership by furnishing proof of their high scores. People who have lost their scores or simply want to take a new test can take any of the more widely recognized IQ tests, such as Stanford-Binet Intelligence Test, the Wechsler Adult Intelligence Scale (WAIS), or the Cattell Culture Fair Intelligence Test. The score that they receive on the intelligence test will determine if they qualify for membership. However, applicants are encouraged to take practice tests first to help them prepare for the challenge of entering a high IQ society. One of the best resources for preparing yourself to take an IQ test are practice tests. They offer the same types of questions, and present concepts in a manner similar to what you would encounter on a real IQ test. 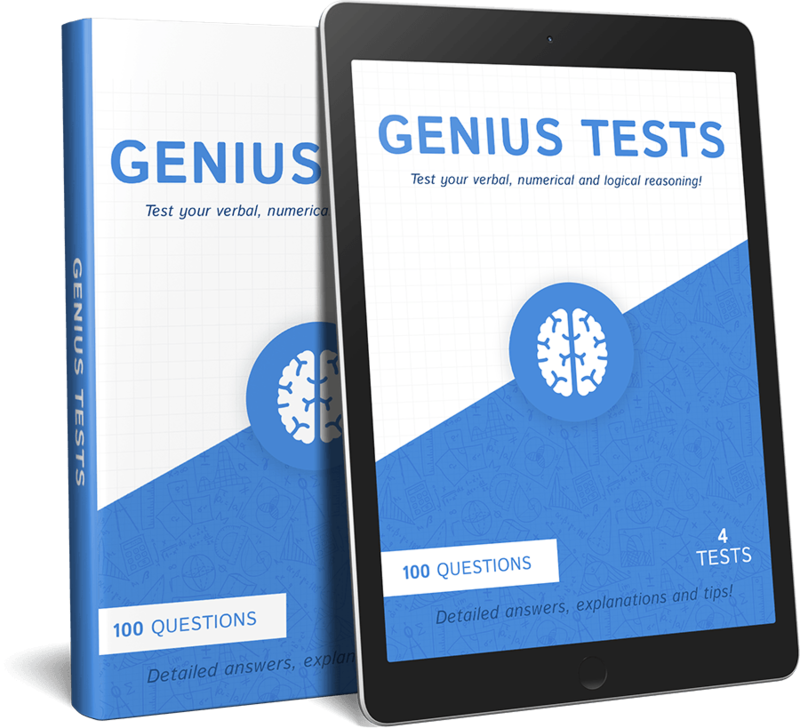 Going over practice tests multiple times in order to break the questions down to their fundamental parts is key when it comes to doing well on an IQ test. IQ tests work by assessing a person’s ability to overcome a specific set of obstacles, either in the form of written questions or as visual puzzles. Depending on the test being taken, the questions can range from assessing quantitative reasoning ability, verbal reasoning ability, visuospatial abilities, etc. By allowing for a variety of unique intelligence variables to be measured about someone, IQ tests assist in quantifying a person’s strengths and weaknesses.